The Ridgewood High School Alumni Association ("RHSAA") was established to celebrate and promote the collective experiences unique to the Ridgewood High School community and strengthen a Tradition of Excellence. Continuing in the Tradition of Excellence, the RHSAA desires to recognize the achievements of alumni who have made significant contributions to society through their personal lives, individual passions, talents, professional accomplishments and/or community service. An award will be presented to each inductee or their representative at an induction awards ceremony held every two years. Each inductee's name will be displayed in the designated Distinguished Alumni area located in Ridgewood High School. The Board of Officers of RHSAA encourages the submission of nominations through the completion and return of the form (insert link). This form alone will be used by the Board of Trustees in determining individuals to receive the award. The Chair of the Board will appoint a Selection Committee to review nominations. The Selection Committee shall consist of members of the Alumni Trustees and other alumni that desire to be on the Selection Committee. The Selection Committee shall consist of at least three but no more than seven individuals. The Selection Committee will collect the submitted nominations which will be reviewed and validated. Up to four recipients may be selected on a bi-annual basis. 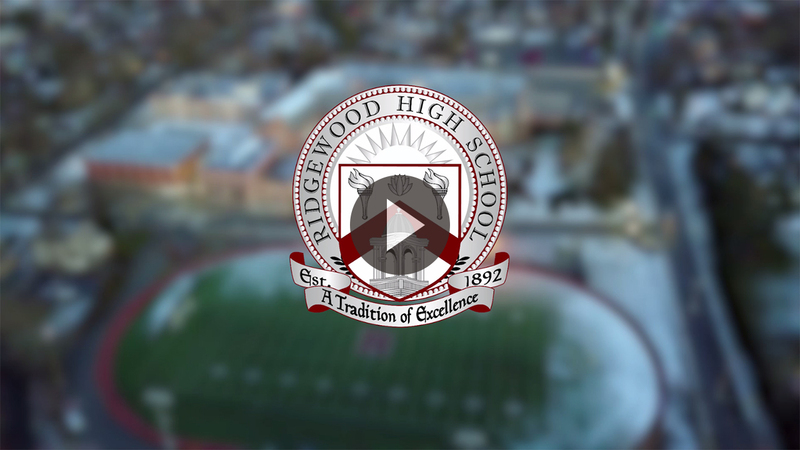 The Ridgewood High School Alumni Association was established to celebrate and promote the collective experiences unique to the RHS community and strengthen a Tradition of Excellence. Continuing in the Tradition, the RHSAA desires to recognize the achievements of alumni who have made significant contributions to society through their personal lives, individual passions, talents, professional accomplishments and/or community service. An award will be presented to each inductee or their representative at an induction awards ceremony held every two years. Each inductee's name will be displayed in the designated Distinguished Alumni area located in Ridgewood High School. John Poole, MD is a multi-generational graduate of Ridgewood High School, graduating in 1974. John Poole's Mom, his four Grandparents, and his Great Grandparents all lived in Ridgewood. Carole G. Jones, D.V.M. graduated from Ridgewood High School as a member of the Class of 1981. Prior to her untimely death in March 2014, she had been a practicing veterinarian in Bergen County for nineteen years. John Poole, MD is a multi-generational graduate of Ridgewood High School, graduating in 1974. John Poole's Mom, his four Grandparents, and his Great Grandparents all lived in Ridgewood. He met his future wife, Louise D'Aiutolo, as a tenth grade student at Ridgewood High School. They were married in 1978 and raised their three children Leila, Jack and Laura, in Louise's childhood home in Ridgewood. Leila, Jack and Laura all graduated from Ridgewood High School. Upon completing his residency, John Poole, MD returned to Ridgewood and began his General Surgical practice at The Valley Hospital in Ridgewood. John Poole, MD has also been affiliated with the following hospitals throughout his thirty-year career: Holy Name Medical Center in Teaneck, Pascack Valley Hospital, formerly located in Westwood and Bergen Pines Hospital, currently known as New Bridge Medical Center in Paramus. He is currently on staff at Holy Name Medical Center and Hackensack University Medical Center. John Poole, MD is President-Elect of the Medical Society of New Jersey and will be inaugurated on May 5, 2018. He is actively involved in the American Medical Association (AMA), serving as Chair of the NJ delegation to the AMA. He served on the Board of Directors of the political action committee of the AMA. He previously served as Director of the Department of Surgery at Holy Name Medical Center from 2011 to 2012. John Poole, MD has served on the Medical Executive Committee of Holy Name Medical Center since 1993. He currently serves as President of the Medical Staff of Holy Name Medical Center. John Poole, MD is passionate about medical advocacy for both his profession and his patients. He believes we have an opportunity to reform the health care system to deliver quality care to more patients at lower cost. John Poole, MD attributes much of his success to the foundation he received as a student in the Ridgewood school system. John Poole, MD has expressed gratitude toward the many excellent teachers who taught both him and his family. Carole G. Jones, D.V. M. graduated from Ridgewood High School as a member of the Class of 1981. Prior to her untimely death in March 2014, she had been a practicing veterinarian in Bergen County for nineteen years. Jones received her Bachelor of Science in Biology from Ramapo College and then in 1994 earned her Doctor of Veterinary Medicine from the College of Veterinary Medicine, Tuskegee University in Tuskegee, Alabama. She also participated in the Master's Program for Biology at Montclair State University, including teaching various biology courses, prior to attending Tuskegee University. Before matriculating into veterinary school, she worked as a veterinarian technician at several practices. She also was an assistant scientist in veterinary emergency medicine at Hoffman La Roche prior to attending veterinary school. During the summer between academic years of veterinary school, she worked at the Animal Emergency Center in Milwaukee, Wisconsin where she learned to be a first-line provider responsible for initiating resuscitation and stabilization, starting investigations and interventions to diagnose and treat illnesses in the acute phase, and determining disposition regarding patients' need for hospital admission, observation, or discharge. This experience proved to be invaluable in her career. She spent the majority of her time in practice at Wayne Animal Hospital where she was known as a first rate diagnostician and surgeon. Her focus was her clients; she treated them as if they were her pets. She would often spend nights at the hospital if an animal in a dire situation was brought in or to monitor a client's vitals after surgery. Telephone calls or texting with clients late into the night and early morning hours was a common activity. In addition to her dedication to her practice, she volunteered her surgery skills at spay and neuter clinics, animal refuges and free rabies clinics. A co-worker remarked, "She was a true doctor in every sense." Carole loved animals and the practice of veterinary medicine and her clients respected her for her acumen, ability, generosity, and integrity. Jim Stroker, or "Coach" as he is better known, is a second-generation graduate of Ridgewood High School's class of 1970. Coach is a lifelong resident of Ridgewood and followed in his late father Jack's athletic footsteps by becoming an accomplished three-sport athlete, achieving Varsity honors in baseball, basketball and football. After High School Coach attended Jacksonville University in Jacksonville, Florida and received a Bachelor of Science degree in Health and Physical Education in 1975, followed by a Master's degree in Athletic Administration from Springfield University in 1979. After graduate school Coach returned home and began his teaching career in 1980 as a health and wellness teacher at Benjamin Franklin Middle School, where he taught for 36 years until his retirement in 2016. Throughout the course of his career, Coach impacted hundreds if not thousands of students' lives with his new, ever changing and innovative teaching strategies including integrating yoga and meditation into his classroom to help his students develop more mindful responses to the challenges of life. He is also credited with implementing several recognized and award-winning programs for students throughout his career to combat drugs and obesity, as well as clubs to help kids learn the importance of physical fitness. One of Coach's greatest gifts to his students was his willingness and availability to be there for them as they needed, and his teaching stretched far beyond the classroom. Some of his most treasured teaching moments was working with those students with "different abilities," a phrase coined by his daughter Ali, who along with her brother Jake, were severely injured in a car accident in 1989. Jim was later presented with the Paskalides Award for Outstanding Courage in the aftermath of the serious car accident. Coach continues to credit his three children Jake, Ali, and Tori with helping him find inspiration through their strength and success. In addition to teaching, Jim began his coaching career at RHS as the head coach for both the Freshmen football team and the Freshmen Boy's Basketball teams. He later served as the RHS Varsity Men's Basketball Coach for 18 years, having compiled the most wins in that position in the school's history. He had innumerable coaching victories, most notably leading the 2005 men's basketball team to the Group 4, Section 1 State Championship Title. Coach also served as an Assistant Coach for the RHS Varsity Football team for half of his career. Coach Stroker received numerous awards during his distinguished teaching and coaching career. He was named Teacher of the Year at BF Middle School in 2011 and was inducted into the New Jersey Coaches Hall of Fame. Currently, Coach Stroker can be found using his unique gift to craft and deliver inspirational and educational keynote seminars and trainings that resonate with audiences ranging from Fortune 500 CEO's to thousands of high school students throughout the country, as well as Nonprofits, Military, Gaming Associations, Healthcare Practitioners and Native American Leaders. He speaks on various topics including how gratitude can impact daily performance and behavior. Over the summer months you will find Coach each morning teaching core training and yoga on the beach in Long Beach Island, New Jersey. MichaelAaron Flicker is a 2001 graduate of Ridgewood High School. During his high school tenure, MichaelAaron was the student representative to the Board of Education and was most proud of starting the Quality of Student Life Committee which reconstructed two high school bathrooms in hopes of reducing graffiti across the school. MichaelAaron won the Irwin B. Somerville Award which is awarded a student who most exemplified the ideals of Ridgewood High School, humanitarianism and giving back. He was also awarded the Arthur Little Scholarship for Young Entrepreneurs and the Derekh Eretz Award from the Jewish Theological Seminary. In high school, he participated in the RHS Marching Band for four years where he played the trombone as a section leader and became the Band Council President his senior year. MichaelAaron graduated from the Honors Program at Boston College in 2005 with dual degrees in Political Science and Philosophy. He created a Quality of Student Life Committee at Boston College which, among other things, brought the New York Times and Boston Globe free to students each day. He wrote his honors thesis, "Discerning Truth - A Life's Journey" on the limits of language and the pursuit of better interpersonal communication. He received a number of academic honors including the National Dean's List, Alpha Sigma Nu - National Jesuit Honors Society, National Society of Collegiate Scholars, The Order of the Cross and Crown and Boston College's most prestigious civic leadership award, the Brian D. A. Hall Leadership Award. MichaelAaron is the founder and president of XenoPsi, a multi-award winning NYC-based strategic marketing, advertising and business consulting agency that specializes in helping brands tackle their toughest business challenges. XenoPsi excels at bringing innovative thinking to a variety of businesses and MichaelAaron has worked with many of the country's leading brands including Nike, JPMorgan Chase & Co, Chubb, AstraZeneca Pharmaceuticals, ACE Insurance, Evan Williams Bourbon, and Hpnotiq Liqueur. He started XenoPsi as a freshman at Ridgewood High School in his parent's basement and over the past 20 years has grown it to 45 employees. MichaelAaron remains actively involved in the Ridgewood community. He is co-chair of Super Science Saturday - Ridgewood's largest non-competitive academic event which just celebrated its 30th anniversary. MichaelAaron became involved in this program as a third grader and has been co-chairing this community-wide event for 14 years. He also runs the Connor Donohue Music Fellowship which raises and awards money each year to a high school student at further build their love of music and leadership skills. In addition, he chairs the RHS Band Council Alumni Scholarship and the Helen Aslanides Scholarship for Social Justice, honoring one of his favorite teachers at RHS. MichaelAaron is grateful for the education he received at Ridgewood High School and for the wonderful and caring teachers and administrators who inspired his passion for community service. He is also grateful for his loving wife Erika Wasenda, their 7-month old son, Max Theodore Flicker and his friends and family able to celebrate with him today.